Bookmark this list — you’ll want to take advantage of these tailoring services. For most consumers, fit is a key part of any purchasing decision when it comes to apparel items. Yet every brand's clothes fit slightly differently, and sizing is anything but consistent for both menswear and womenswear. And sometimes, you'll come across the perfect trousers or blazer, but realize that the last one left is one size off from what you would ideally wear. Especially if you are petite, or have less-common body proportions — for example, a shorter than average inseam, or a narrow waist with a larger hip circumference — you probably already know that a good tailor can do wonders when it comes to customizing the fit of a garment. But you might not know that many Canadian retailers offer a selection of complimentary basic tailoring services in store, and not just at the designer price point! This sweet perk not only helps ensure you get the best fit for your purchases, but also saves you the time and added cost of going elsewhere to, say, get a pair of $40 jeans hemmed. The one thing to keep in mind? Once a garment has been altered, it's definitely a final sale. Club Monaco offers complimentary hemming on all men's and women's full-price pants purchased in Canadian retail stores, including those with cuffed bottoms. The work is done offsite, and other tailoring services are also available at additional cost. The luxury menswear retailer offers complimentary in-store alterations on all regular price merchandise, including more complex modifications such as shortening sleeves on blazers or taking in waistbands. There's a charge for work done on sale dress shirts and sale items that are over 50 per cent off, unless you're a Silver, Gold, Platinum or Platinum Elite member of the store's Sartoria Recognition Program. The Canadian luxury retailer's list of complimentary core and custom alterations, available on regular priced merchandise, is pretty impressive. Aside from simpler services like hemming and taking in side and center seams, they will even narrow the shoulders of jackets and taper sleeves free of charge. Hudson's Bay offers complimentary alterations for full price purchases at The Room, the luxury designer space inside the Toronto Queen Street and Downtown Vancouver stores, and for men's clothing at selected locations (call ahead to confirm). If you need to get basic hems shortened on pants, tops or t-shirt sleeves, these alterations are complimentary at Kit and Ace's retail locations in Canada. More complex modifications are not available, although a few stores also offer monogramming services onsite. The Vancouver-based athletic apparel company will hem your Lululemon tops and pants for free, even without tags or a receipt, unless there are special design details at the hem like cuffs, drawstrings or zippers. The process takes up to 3 days in stores, and up to 7 days at their Quebec showroom. 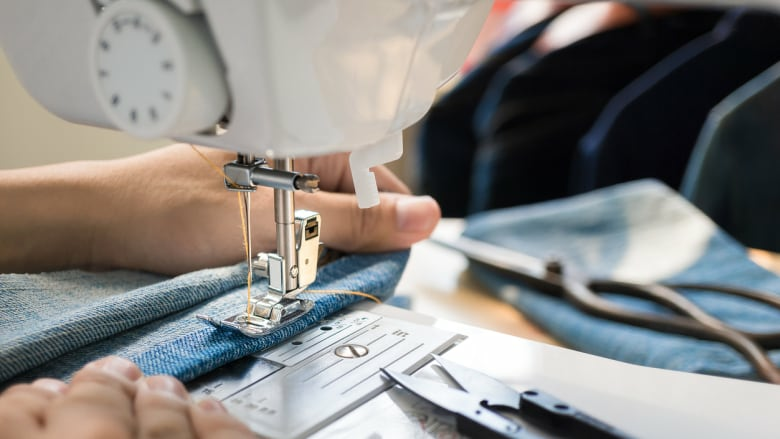 Nordstrom provides complimentary basic hemming for most regular-priced items purchased in store or online (bring your receipt or packing slip to the fitting), although they recommend checking with the in-store alterations team for more details. Complicated alterations are available for a fee, and they'll happily tailor items you already own, too, including denim and designer evening wear. The Montreal-based workwear retailer doesn't have an instore alterations program; however, they will offer you a RW&CO. gift card as reimbursement for any alterations you need to do on their suiting products including blazers, skirts and pants. It's up to $25 for a women's suiting purchase of $150 or more, and up to $50 for a purchase over $300 of men's suiting. The top-tier members of the Canadian department store's three tiered loyalty rewards program, The Simons, get unlimited free alterations for 12 months after the date of purchase. Done in-store, the complimentary adjustments include everything from basic hemming to letting out seams to tapering pants. Uniqlo offers free basic hemming on selected bottoms purchased in stores, including their well-priced jeans. The turnaround time is generally quick – same day pick-up is oftentimes an option.